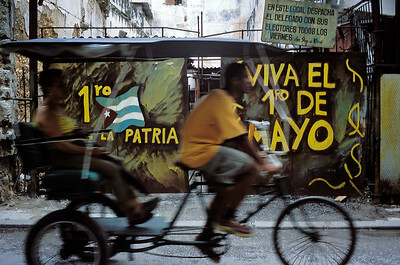 A "bicitaxi" passes in front of a wall on which a painting celebrates the 1st of May: an important date for Castro, after the dramatic turn of the screw of early 2003. Speech of Fidel Castro in Plaza de la Revolucion for the 1st of May. Students are called in bulk to take part to the event. 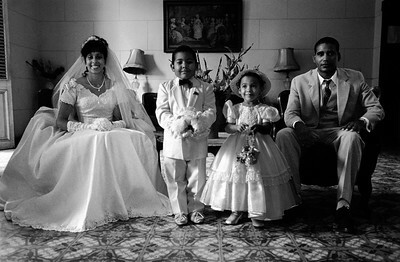 La Havana, May 2003. 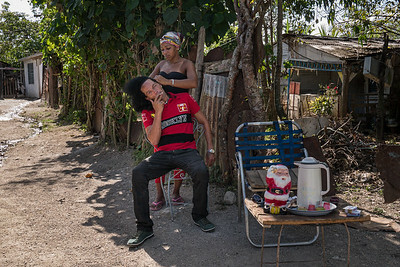 A vanishing celebration of Castro in Cojimar district. La Havana, March 2003. Fidel Castro and a "fan". 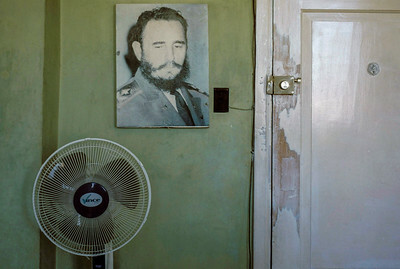 Portrait of Fidel Castro in a house of La Havana. 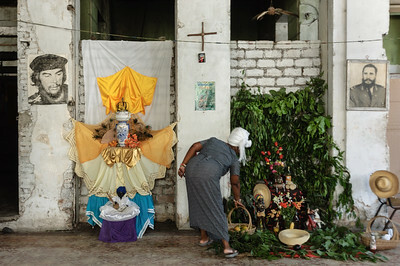 El "Che" and Fidel seem to protect a Santeria shrine. 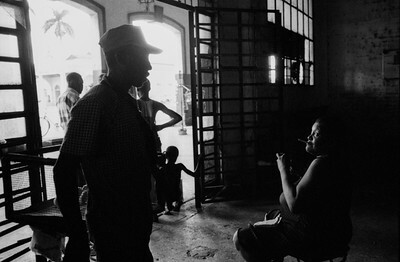 Santiago de Cuba, July 2005. A man selling a statue representing Yemanya. La Havana, May 2003. 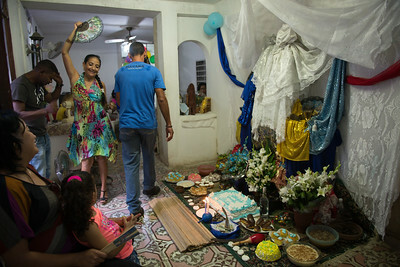 A feast for a "Cumpleaño de Santo". La Havana, April 2014. 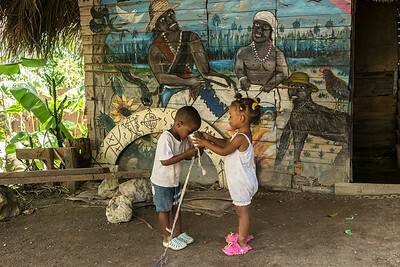 A painting on the exterior of a hut used for Voodoo rituals. Barrio San Francisco, La Havana, April 2014. "There's nothing left". La Havana, June 2005. 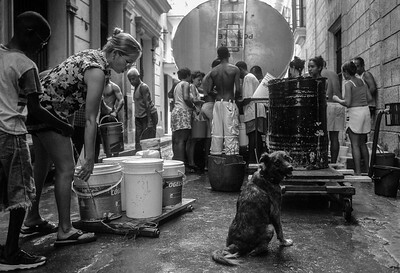 Running water is often missing in Cuban houses; people is obliged to make a good supply from tankers organized by the government. La Havana, August 2004. 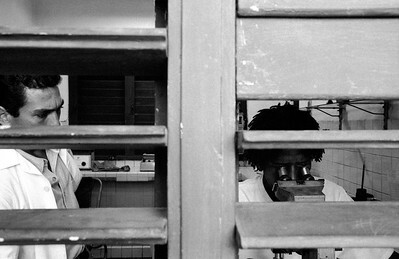 Paediathric Hospital, La Havana, January 2001. 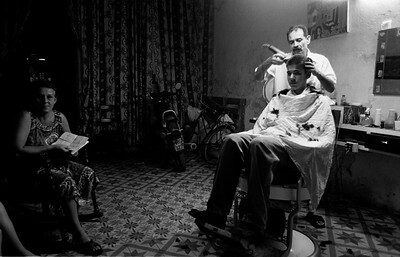 Barber shop in Calle Picota. La Havana, April 2003. 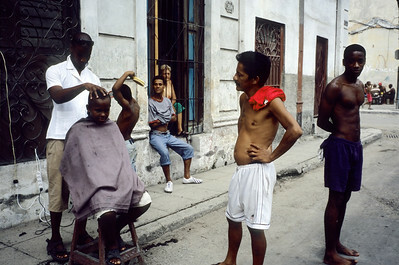 Cutting hair in a street of Cerro quarter. Barrio de San Francisco, La Havana, April 2014. 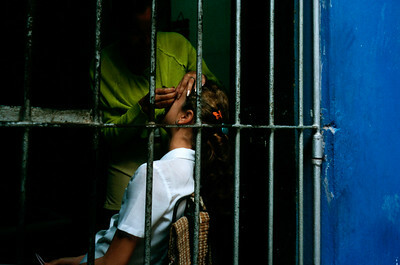 Make up at the house door. 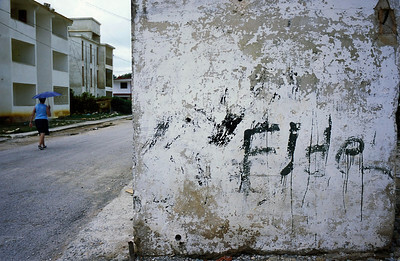 La Havana, January 2001. 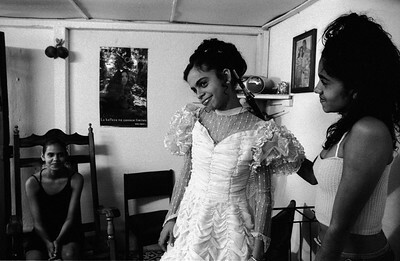 15-year Virgem Rivero prepares for her "Fiesta quinceanaria" (15 year debut party), one of the events much awaited by Cuban girls. 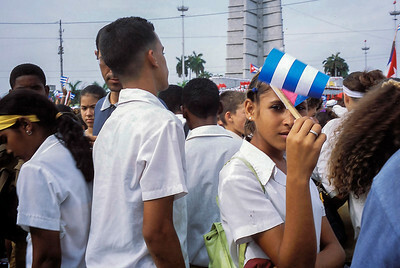 La Havana, January 2001. 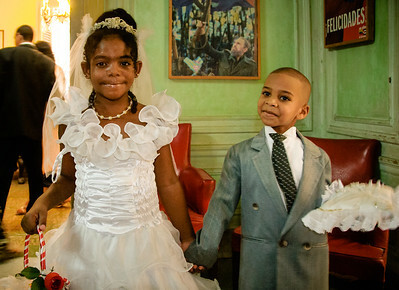 Shining 50's cars and gorgeously dressed up bridesmaids are an obliged presence at weddings. 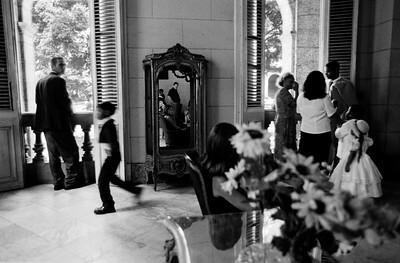 La Havana, Casa de los Matrimonios, January 2001. Calle Obispo. 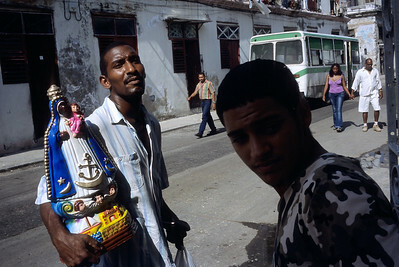 La Havana, August 1999.